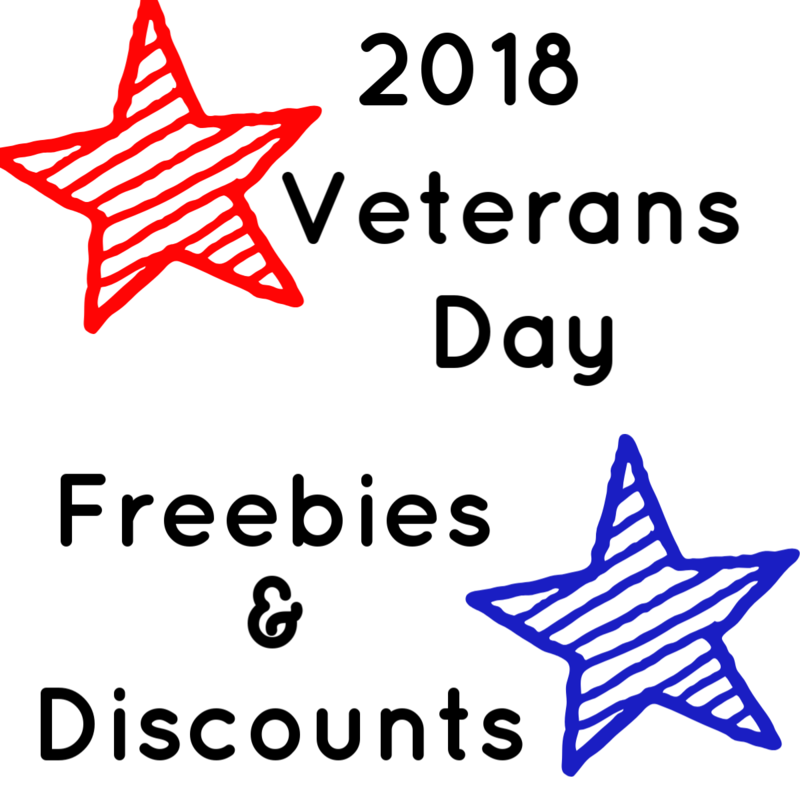 We have found these FREE and Discounts for Veterans Day this year. Be sure to read all the offer specifics before heading out and confirming that your location is participating. Most require proof of service to be redeemed on November 11 or 12, 2018. Thanks so much for your service and sacrifice! California Pizza Kitchen – Free meal from special menu Sunday. Get a B1G1 free card to use November 12 – 18, 2018. Hooter’s – On Sunday, November 11, all veterans who present a military ID or proof of service and purchase a beverage at any participating Hooters location nationwide will receive a free entrée from the Hooters Veterans Day Menu (available for dine-in only). On the Border – On The Border would like to thank active and former military members for their service on Sunday, November 11 with a free meal. Simply present proof of military ID or service, and enjoy a Free Create-Your-Own Combo 2 Meal. Choose any two items off the combo menu like tacos, enchiladas, empanadas, mini chimis and more! All served with Mexican rice and beans, plus endless chips & salsa. Starbucks – Veterans, active duty service members and military spouses, enjoy a free tall (12 fl oz) hot brewed coffee on Veterans Day (11/11) at any participating Starbucks® store. Red Robin – FREE* Red’s Tavern Double Burger and Bottomless Steak Fries. Just show proof of service and enjoy your meal with us. Buckle – Save 10% off your purchases all year long, plus get free shipping November 5-20, 2018 on jeans, shirts, and footwear from your favorite brands. Hanes – Active Military & Veteran’s recieve 20% off your purchase with code valid 11/5 – 11/12/2018! Must verify your military ID to obtain code. TOMS – all active duty, veterans, National Guard, and military spouses or dependents a 20% discount on all full-priced styles. Tommy Hilfiger – 15% military discount year-round to active duty, veterans, retirees, National Guard, reservists, and military spouses. We will be updating this list as we hear about other offers and please let us know if you find any too by leaving us a comment on this post below!